Besides a lack of unruly cables, the other big advantage to using wireless accessories like a Bluetooth mouse is that they can be easily swapped between devices. 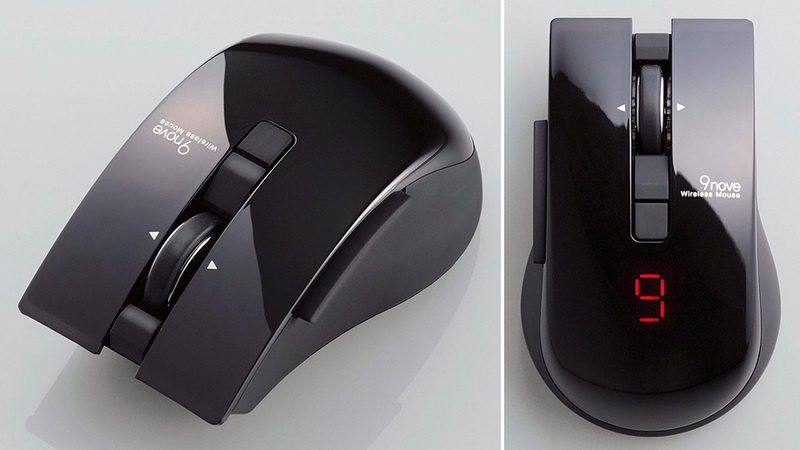 And Elecom is betting that there are enough consumers using nine different devices at once to profit on its new 9nove wireless mouse. Good luck with that. A button near the scroll wheel lets users swap between laptops, desktop PCs or whatever else relies on a mouse these days. And which device it's currently connected to is indicated by a simple LED number display, although you'll want to take notes on what one through nine actually corresponds to.